WHY IS IT CALLED PERMANENT? Generally it lasts 3-5 years. 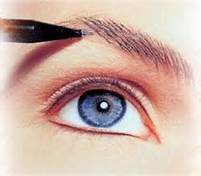 Permanent Cosmetics will look best when the original Technician maintains it every year, or as needed, depending on the clients pigment retention. DOES IT HURT? WILL THERE BE A LOT OF SWELLING? Due to improved Topical Anesthetics pain and swelling is kept to a minimum. The more relaxed the client is, the higher the potential of no pain and no swelling. Relaxation also aids in pigment retention. WHEN CAN I GO BACK TO WORK AFTER A PROCEDURE? Same day in most cases, depending on the type of environment you work in. WHO CAN BENEFIT FROM PERMANENT COSMETICS? Anyone who wants a natural appearing enhancement 24 hours a day. Women with imperfect vision. Athletic /Active Women. Women who participate in water sports. Those with arthritis or unsteady hands. Contact lens wearers. People with sensitive eyes that tear frequently. People with visible scar tissue. People with allergies to conventional makeup. People with hair loss due to Alopecia in the brows and/or lashes. Women who ride motorcycles. Anyone who is tired of their makeup smudging, smearing or rubbing off.